Garrett Stevens’ custom hand made collar is the ideal training collar. Strong, safe, and smooth-functioning, the Alpha Omega Collar will greatly aid in perfecting a heel or loose leash walking. The Alpha Omega Collar is the professional’s choice. They are made from military grade, 7 strand, 550 parachute cord. The collars are incredibly strong and resistant to rot, abrasions and mildew. The Alpha Omega Collar snaps around the highest part of your dog’s neck so it makes a perfect fit for ease of control and safeguarding the trachea. The Alpha Omega Collar flows effortlessly and smoothly (there are no pounded metal links) which helps immeasurably with training a dog to keep calm and keep the leash loose. This solves the two major problems found in most training tools/collars on the market today. This collar will out perform Any choke chain, pinch collar, prong collar, martingale collar, flat buckle collar, gentle leader, halti, or any body harness. If your puppy or dog is over-excited, pulls, lunges, jumps, over-smells, over-marks, suffers from fear or aggression, or just needs a better heel this custom calming collar is the perfect tool for you. Visit http://www.gstevensdogtrainer.com to order yours today! 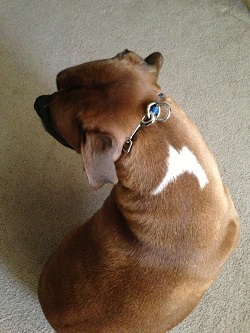 “Amazing collar you’ve created! Moose is making huge strides in just a few hours. I’m amazed at the progress. The insight you’ve provided us is invaluable. We can’t wait for the next session. The collar makes walking Moose a complete pleasure. It allows us to put the techniques to work while seeing immediate success! He’s obviously enjoying it. Questions or comments regarding the collar? 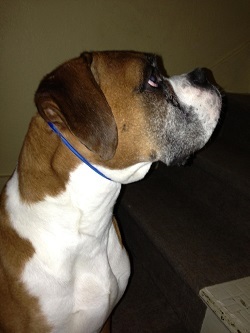 Please feel free to contact us at http://www.gstevensdogtrainer.com or through the blog. According to the American Pet Products Association, 63% of U.S. households have a pet, which works out to be approximately 71.1 million homes and 382.2 million animals. Though they require time and attention, pets also give in return. People add pets to their families for numerous reasons, from friendship to protection. 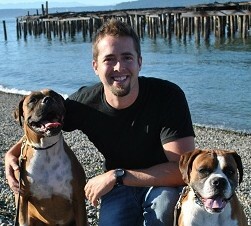 Our dogs, Bosley and Rambo, have been a great addition to our family. They were the perfect precursor to having babies. Puppies don’t always sleep through the first few nights! Dogs Start Us Off on the Right Foot…Research has shown that children who have a dog in their home have a stronger immune system, according to a study from the University of California, San Francisco. There is reason to believe that some germs, such as those associated with dogs, may be beneficial for children’s health, lowering the risk of asthma and ear infections. 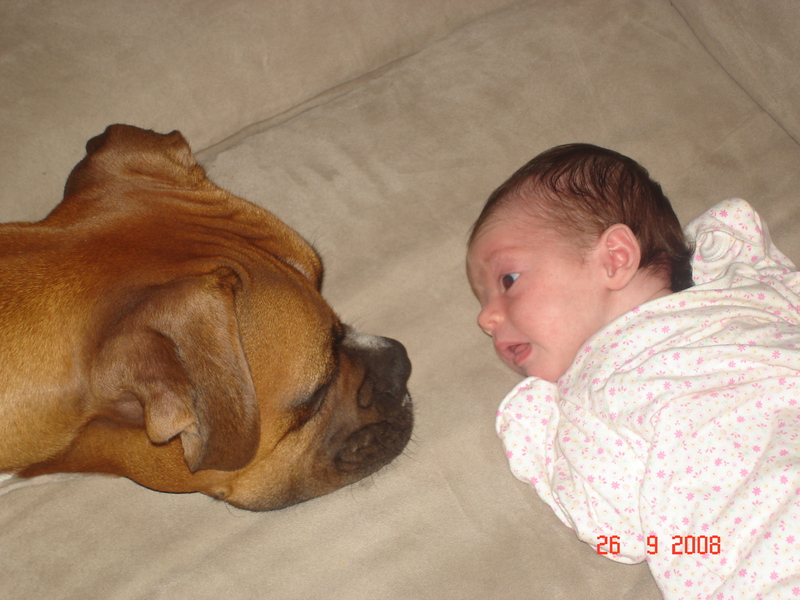 Studies also show that children who grow up with pets in their home benefit in social and emotional development. Dogs Help Us Stay Healthy, Physically and Mentally…Not only are dog owners more active due to the dog’s exercise requirements, but we smile more. 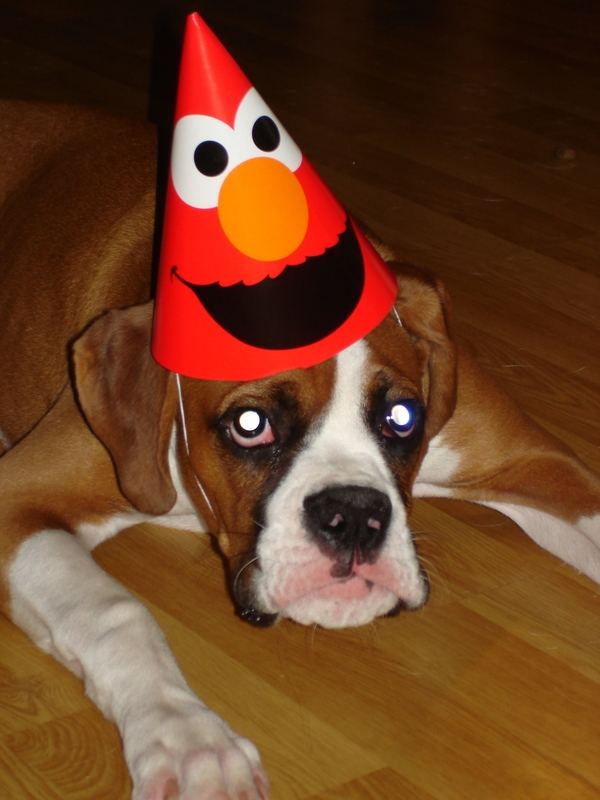 How many times have your dog’s antics made you smile? Probably more than you can count. Joy and laughter trigger the release of chemicals in the brain that enhance our immune function and petting something furry is a proven immune boost. A Wilkes University study found that stroking a dog for 18 minutes caused an increase in the body’s natural antibodies against invading germs. Another study found that people with pets make fewer doctor visits. 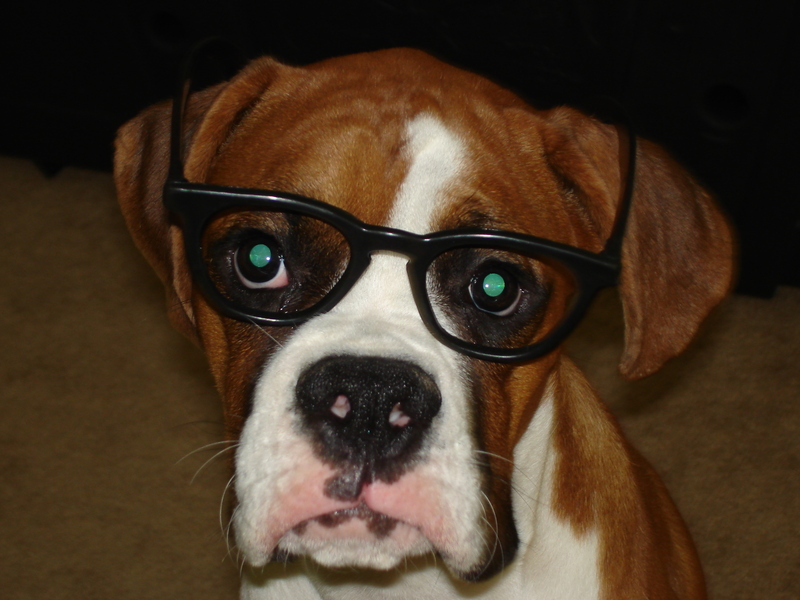 Our first Boxer, Bosley,he’s the intellectual type. With the many benefits of dog ownership is there any wonder that so many of us welcome a furry friend into our home? Fear in a wild canine is a perfectly viable option for survival, and can be used to stay alive in dangerous situations, but fear in our domestic dogs becomes a horribly debilitating habit. Fear can dominate the animal’s outlook and daily experiences in life. The fearful dog’s social circle soon starts to implode, and eventually, the human owner’s social circle does as well. This is an all too common occurrence. Fear in a pup or dog blocks intelligent learning, playfulness, and sociability. Remember, sociability is the real key in an animal whose very life depends on living in a pack. 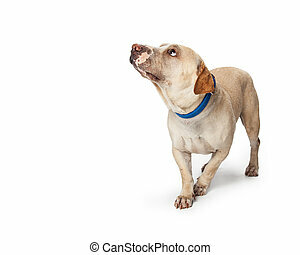 Once a dog starts to use a habit of fearfulness, he goes right into a fight or flight response instead of investigating the new stimulus (new place, person, dog, or random item) with its nose, you are bound for trouble. A healthy, normal domesticated dog should be everyone’s friend. This does not mean they will stop their guardian barking if there is someone at the door or in the middle of the night. Dogs are very sensitive and should be able to distinguish between a guest or family member you’ve already invited in to the house from a burglar attempting to break in at night. They should run to meet people, and dogs, and then slow upon their approach as they switch from eye contact into sniffing and smelling with that wonderful nose of theirs. About 65% – 70% of the canine brain is dedicated to the olfactory system. If your puppy or dog isn’t smelling and sniffing it is Not using much of it’s brain! I always recommend people– and dogs– use their brain. As owners of dogs we can learn to read our dog’s body language, and their body will reveal exactly what is going on in their brain. Dogs are brutally honest. A dog will never lie. If a dog is uncomfortable or nervous it will tell you with its body. This helps us decide what to do to help change the dog’s fearful state of mind. A dog’s movement is key in deciding how we are to move in response to their fear. Leaving a situation when a dog is fearful is seldom the answer. If you let a fearful dog just leave, or go into flight, how will it ever learn to conquer the fear and enter into relaxation? The most important thing to remember is to never coddle or comfort a fearful dog. And never pick a nervous dog up or allow them to hide behind or under you. So many people think if we just work a bit harder to “win over” the nervous dog with more soft human talking or treats, or praise or petting to comfort the animal, it can help. If you talk softly, praise, treat, pet or coddle fear– it will only grow more fear in your dog and hurt it more psychologically! I see many owners in unhealthy relationships with their dogs where the dog is simply using them as a source of comfort in order to stay fearful and even aggressive! Fear should be ignored most of the time. Sometimes it needs to be adamantly disagreed with first and then ignored (especially in the case of aggression or extreme flight.) Think of what a mother dog or wolf would do with a fearful pup…Nothing! She would not comfort or protect it more than all the other normal pups. 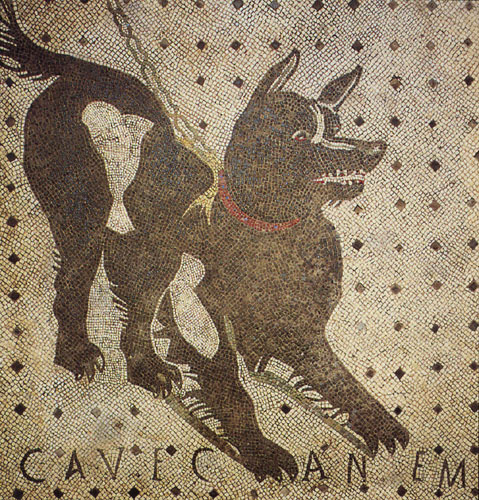 In fact, we know that many times the fearful pup never even survives into adulthood. Fear is totally self consuming. As a pack predator who is supposed to play, run, groom, hunt, learn from, and eventually contribute to help the group, fear is a horribly selfish weight to have on your shoulders. Fear is anti-pack. If you have a rescue dog, and it is now living with you, it is no longer a rescue dog! Do not keep your rescue dog as a victim! This is one offense most of humanity is guilty of. People also want to tell me the dog’s back story. Do you think the dog actually cares about it’s back story? One dominating part of the dog, wolf, or any other animal’s brain is that they live in the moment. This is how a dog can learn a habit faster than a human being (we’ll talk about habits in the next Pet Connection issue). Because all animals are survivalists, and have a constant need to be aware of their present surroundings and environment, they move on from the past extremely fast. We are not like that. The human brain is constantly imagining things, time traveling between the past, present and future. When we watch TV our brain takes us there. When we read a book our brain takes us on another speedy adventure, et cetera. is to keep a dog labeled a rescue: If I introduced you to my wife, and then proceeded to tell you she was a victim, and then described every failure or mistake or weakness she had in the past would that be fair to her? Would she like that? Would that bias your opinion of her and how you decide to treat her? Of course, that would be atrocious. I’m telling you now it is even worse when we do that to an animal that is constantly ready to move on and is living fresh in the moment each day. A dog is always ready to be rehabilitated back to a normal healthy social state of mind, and to keep it as a “rescue” or victim is doing your dog great harm. This is also why many people have trouble after just a few weeks of living with their new rescue. The dog has had a chance to check out the environment, and is now deciding he’s no longer weak, and maybe he will start claiming and dominating things or even people in the home! The human keeps viewing the dog as a poor, pitiful rescue, meanwhile, the dog feels strong, is getting regular meals, is gaining weight and is constantly presented with weak human energy… so… it decides to take the lead. Stop living in the past and take action in the present to help your dog. The fearful dog owner’s attitude should be one of calm assurance. You may have to fake it until you make it! You need to be a source of calmness for a dog who is being fearful, but do not attempt to soothe with human talk, treating or petting. Using treat training for fear will not help unless the fear is very minor. Cut off any unwanted fear behaviors early, before the dog raises its energy too high, and then calmly ignore the dog. Remember, do what a normal older dog would do…either adamantly disagree with the behavior or totally ignore it, or both, depending on what the situation dictates. As long as your dog is allowed to continue in fight/flight , and keep the energy escalated, the dog will never get over the fear. Whatever you do, do not let the dog run or leave the situation. I almost always recommend using a leash in the more severe cases, as this lets us stop the erratic and dramatic fight/flight movements. This gives us access to control the dog’s head and manipulate the body to help calm the animal. Don’t get involved in dog drama! Slow the dog’s movements. Stay calm. There is no reason for your dog to continue living in fear. If your dog is fearful in any way it can be taught to choose the appropriate calming social signals that are inherently inside every canine. If you work on overcoming the fear, instead of just accepting it, your dog will become more social, playful, intelligent, relaxed and happy. If you need help I am just a phone call away. Written by Garrett Stevens, owner/operator of Alpha and Omega Dog Training; this article first appeared in the July/August issue of Pet Connection Magazine. If you really want your relationship to grow in a natural, healthy, and beneficial way and if you desire to shrink and eliminate the fear and anxiety in any dog or pup whilst simultaneously increasing confidence and social relaxation and obedience then look no further than my HOT listed book, Dog Myths! It is the complete opposite of what most professionals are teaching and, because of this, it works so much more efficiently and naturally than the mainstream garbage. Did you know that you don’t have to Bribe your dog or pup with food to motive it? Did you know that you don’t have to smack it around and use harsh handling either? Both of those shoddy methods are clear evidence that most professionals are woefully behind when it comes to the calming natural language of our dogs! Order Dog Myths and watch the changes happen before your very eyes! Did you know there are more dogs in London, England than there are people in Norway? Did you know Time magazine named Snuppy, a dog cloned by scientists using ear tissue from an Afghan Hound, the “Most Amazing Invention of 2005?” Snuppy was also used to inseminate two cloned females- the first successful breeding of cloned dogs! Did you know it was common in the Middle Ages for dogs to be tried and punished along side their owners suspected of witchcraft? We know years later two dogs were hanged in Salem, Massachusetts, in 1692 for witchcraft! Did you know the Greyhound can reach speeds of up to 45 miles per hour (72 kph)? Did you know 3 dogs are believed to have survived the sinking of the Titanic by boarding the lifeboats with their owners? Two Pomeranians and a Pekingese made it out alive! Sorry, Jack! The world is a very interesting and sometimes strange place. Having a dog around can make it that much more interesting and strange. I can think of almost no better partner to explore life with than one who is always up for the adventure! Someone who will protect you at all costs. Someone who has a biological need to smell this world, to traverse vast territory and who needs to live and travel in a group. Someone who (if balanced) runs to meet new people and animals and can’t wait to make friends and play. Get out and enjoy life today with your dog. Make new discoveries. Learn something new today. Run to make friends. And above all always be ready for a new adventure! Have fun exploring the possibilities! More “did you knows” and other historical facts can be found in the book Amazing Dog Facts and Trivia by Ryan O’ Meara.